Welcome to The Curry House, the most authentic Indian Restaurant in Paphos. We trust that you will come and enjoy a top quality Indian meal cooked by authentic chefs from India. We are a family owned and run restaurant opened by Raj from India, with a long family tradition of cooking amazing Indian dishes and his wife, Urszula. We've been living in Cyprus for over 10 years and it was always our greatest dream to open a REAL Indian restaurant in Cyprus offering authentic Indian food that would also be agreeable to the “Western” palate. Cooking is an art form that The Curry House is totally dedicated to. We thrive to provide the original Indian cuisine prepared and presented by finest and dynamic chefs trained to the highest standard and with an extensive experience of cooking Indian food in India and beyond. The varied variety of spices used in the delicious Indian food will make anyone’s mouth water at the mere thought of it. People across the globe love Indian food. We love Cyprus with its variety of fresh and succulent meats and vegetables that we combine with Indian ingredients together creating food that is bursting with flavour and taste. The menus are a carefully chosen selection of the finest Indian dishes to give you the best eating experience possible from an Indian restaurant in Cyprus. Having lived in Cyprus for many years and knowing a thing or two about wines, we have selected some of the finest wines Cyprus has to offer and imported wines too so, we know you will not be disappointed. Whether you are a tourist or a regular resident of Paphos, we are sure that you will find your visit to our restaurant one of the best dining experience you will ever have. We are a business, but that is not how we wish to measure our success. 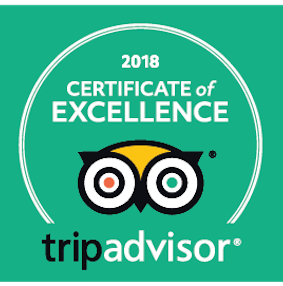 Our goal is to win your heart and put a smile on your face from your experience with us, offering unmatched quality of food and hospitality so that you visit us again and again. We would like to bring to your notice that all the food cooked in our restaurant is cooked fresh to order. All meat, fish and poultry are fresh products unless otherwise denoted as "frozen". Please advice us of any of your allergies to prevent any allergic reactions. Our main chef is at your service to advice which dish might contain your allergens.